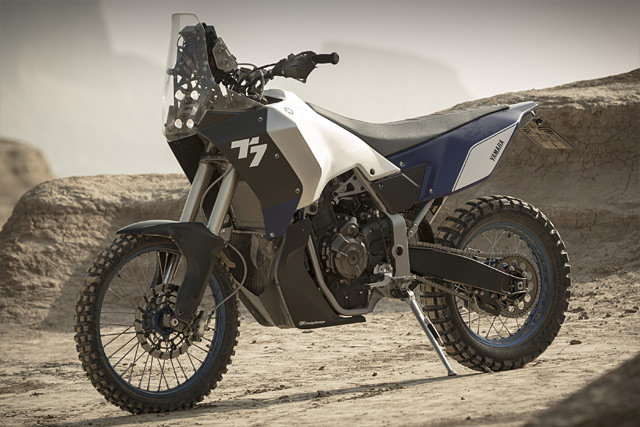 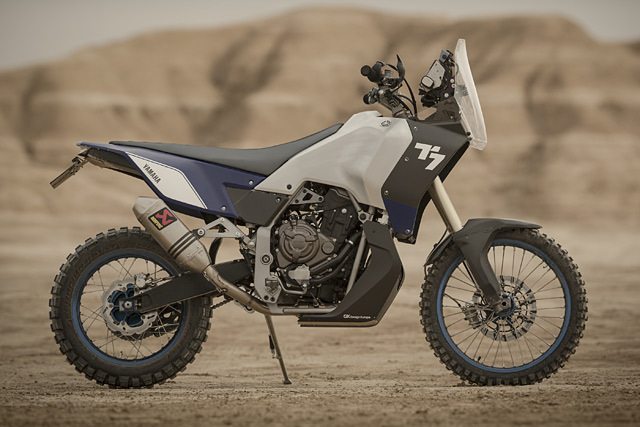 Developed from the legendary Dakar Rally winning race bikes, models like the original Yamaha XT600Z Ténéré opened up the possibilities of long distance exploration to every rider. 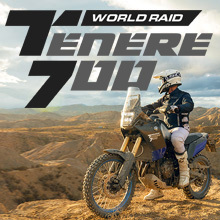 With their durable designs, long range fuel tanks and unrivalled reliability, the first generation Ténéré models became some of Yamaha's best-selling motorcycles, and helped to ignite worldwide interest in a whole new movement. 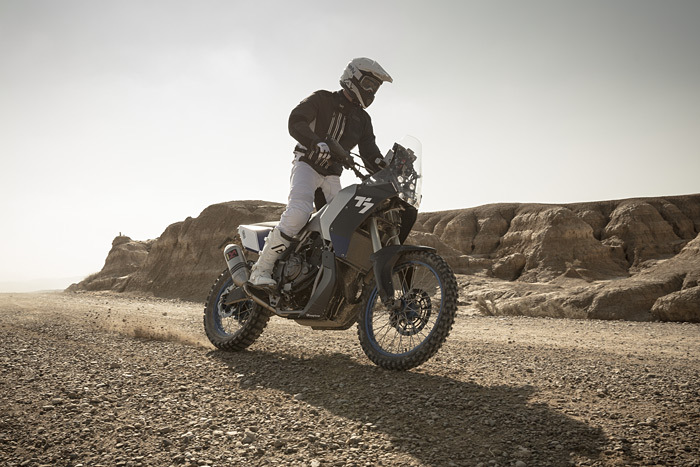 The original Ténéré spirit that made Yamaha one of the greatest names in Rally and Adventure riding has never gone away, and is forever in the company’s DNA. 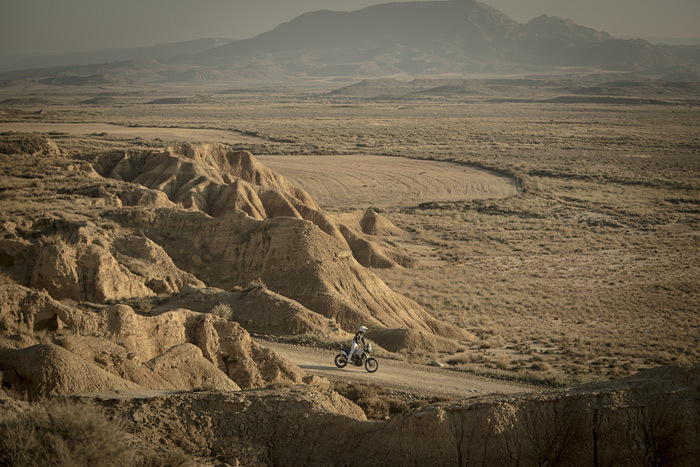 Adventure represents a very pure and essential way of enjoying motorcycle riding for Yamaha– offering feelings of utter freedom and discovery, traveling to stunning places even when there are no roads to get there. 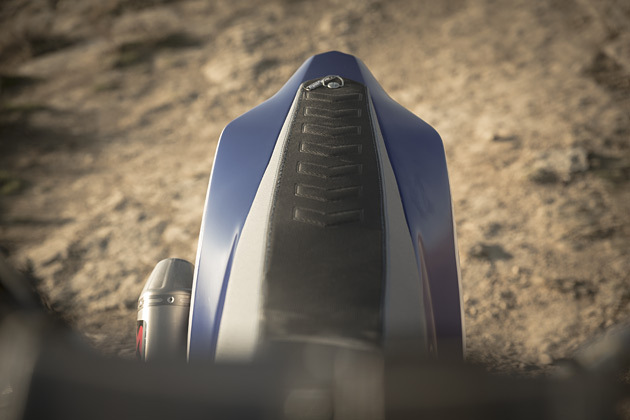 Now Yamaha are about to give the world a glimpse of the future with the unveiling of the T7 Concept. 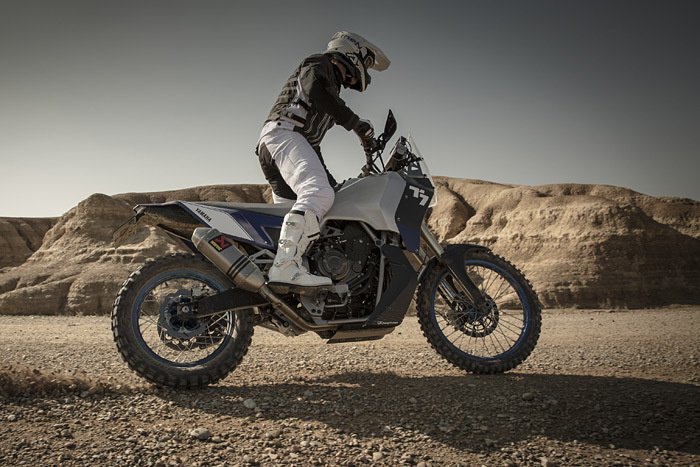 Many existing mid-size adventure models are perceived as being too road oriented and too sophisticated, and are unsuited to real off road riding. 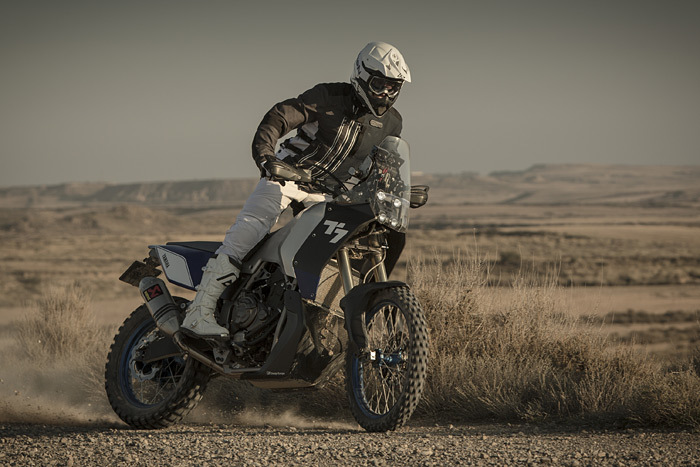 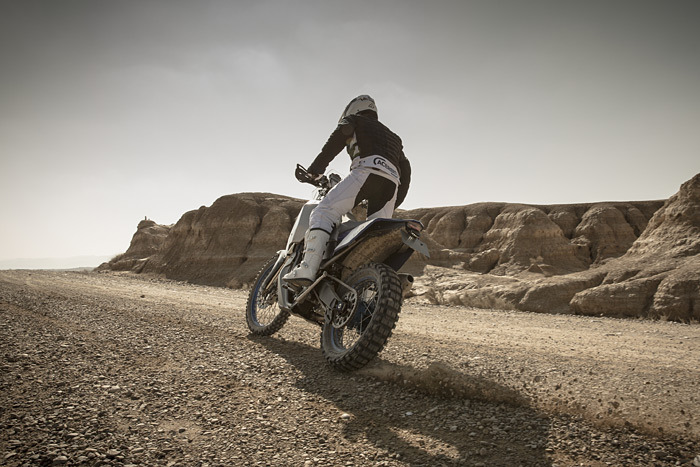 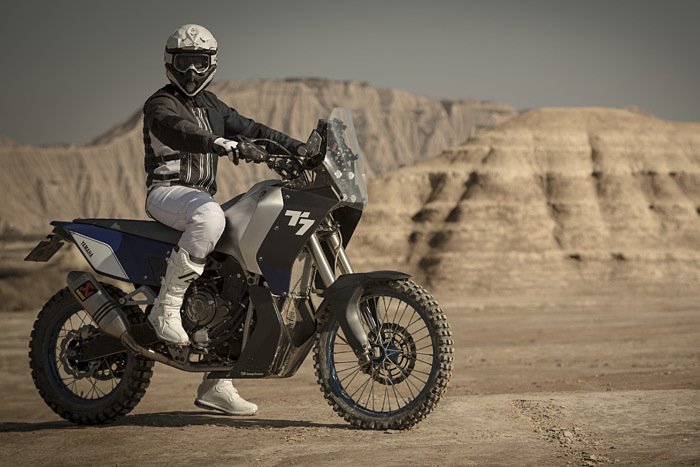 The adventure world needs a new kind of motorcycle that can offer the genuine long distance versatility and pure durability of the original Ténéré, combined with contemporary design plus cutting edge engine and chassis technology. 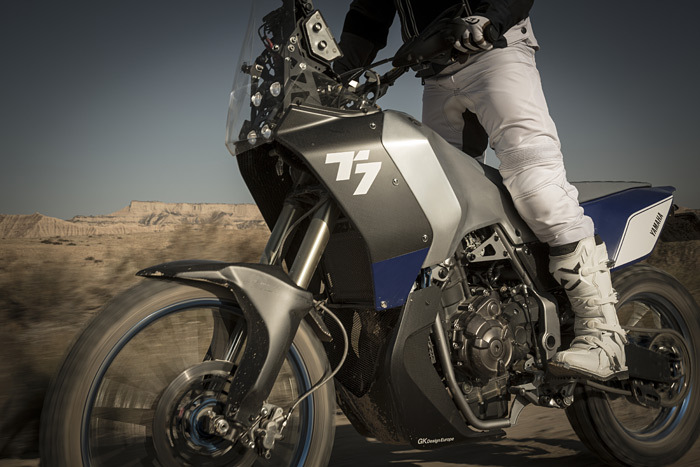 A committed team composed of Yamaha’s engineers, designers and product planners have developed the new T7 concept. 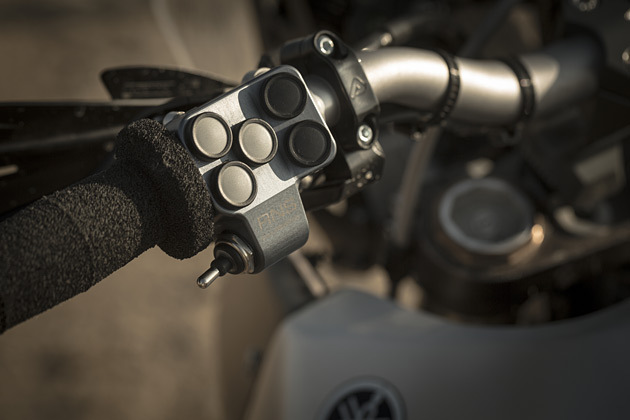 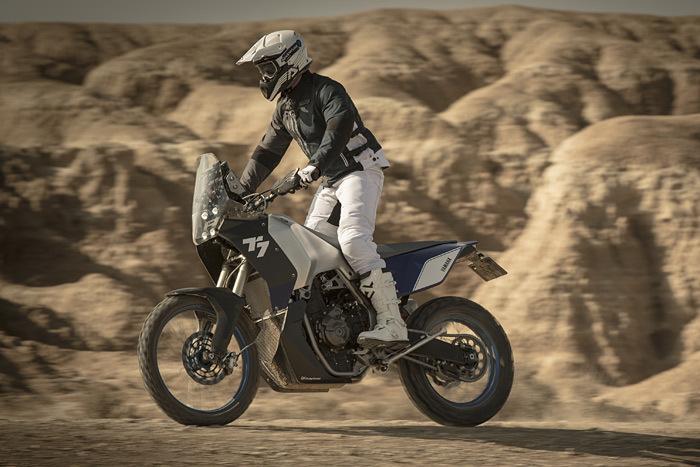 Each member of the team is driven by a desire to create something that would fit the needs of the adventure traveler and represent the Yamaha vision for the next generation of adventure bikes. 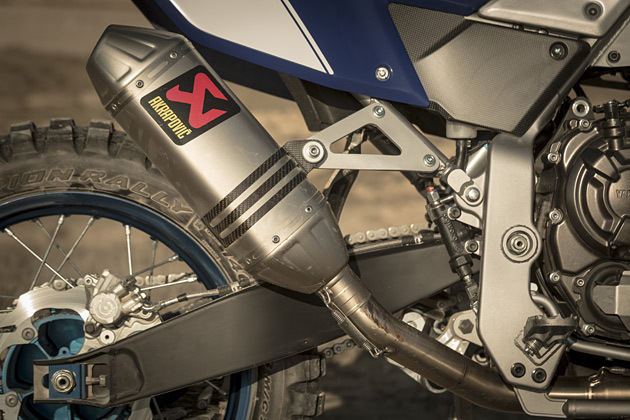 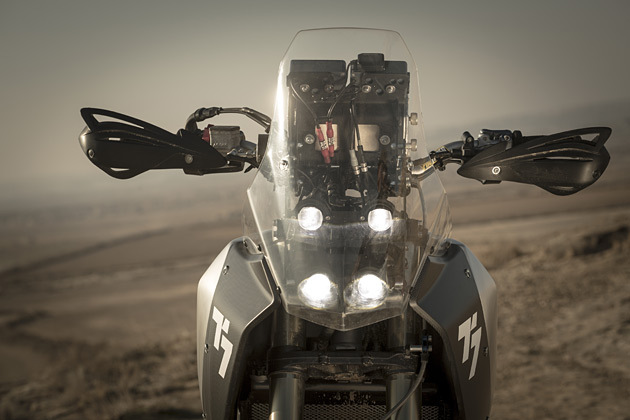 Equipped with an aluminium fuel tank, 4-projector LED headlight, a carbon fairing and skidplate, and a custom made Akrapovič exhaust - as well as high specification KYB front suspension - the T7 is a vision of the ideal adventure machine, and is playing a major role in the development of Yamaha’s next generation adventure models.